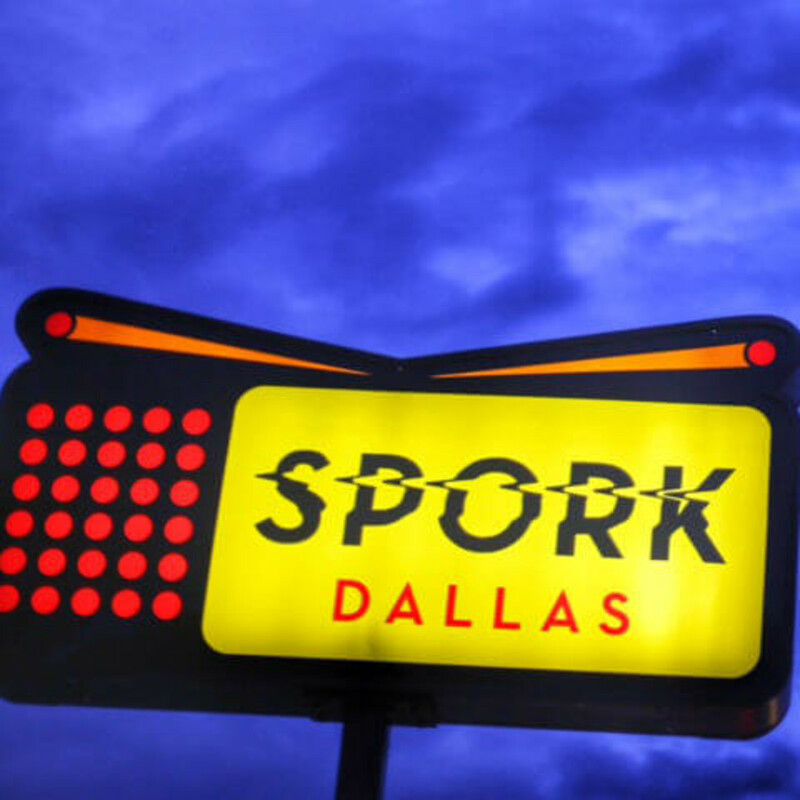 This is sudden: The fast-casual restaurant known as Spork, dubbed a "chef-driven roadside eatery," opens on March 11 at Frankford and Preston roads in North Dallas, in a former Sonic Drive-In. The menu consists of burgers, salads, sandwiches, cocktails and shakes. But enough about that, let's get to the important stuff, the star-studded team behind it: chefs Eric Justice and Tim Byres, creative director Christopher Jeffers, Christopher Zielke, and Karen Schultz, all of Dallas-based Turn the Tables Hospitality Group; Sean Conner of Pie 2.14; Katherine Clapner of Dude, Sweet Chocolate; and Brad Borchardt of Expanding Palates. All those people just for a little roadside eatery. According to a release, Spork was inspired by another roadside eatery in Napa Valley, now-shuttered, called Taylor's Refresher (currently known as Gott's Roadside). 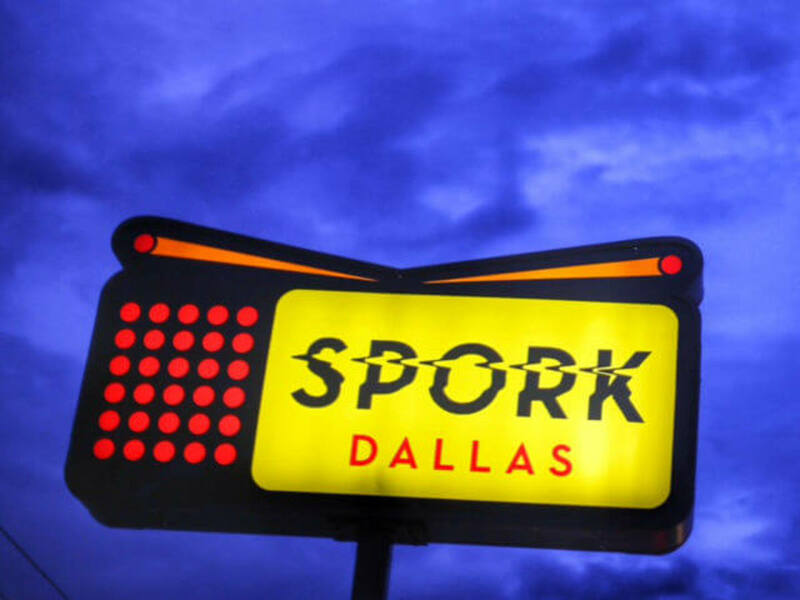 Although Spork's exterior still looks vaguely like a Sonic, it has double the neon. Space-themed murals line the exterior walls and give way to the "eatertainment" aura that awaits inside. Eatertainment was big in the '90s, and now it's back. 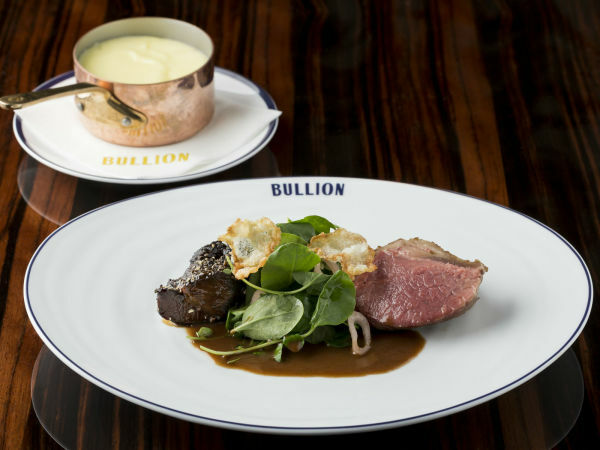 The menu consists of American classics with Asian influence; it's a blend of Byres and Justice, whose previous experience includes P.F. Chang's and Pei Wei. 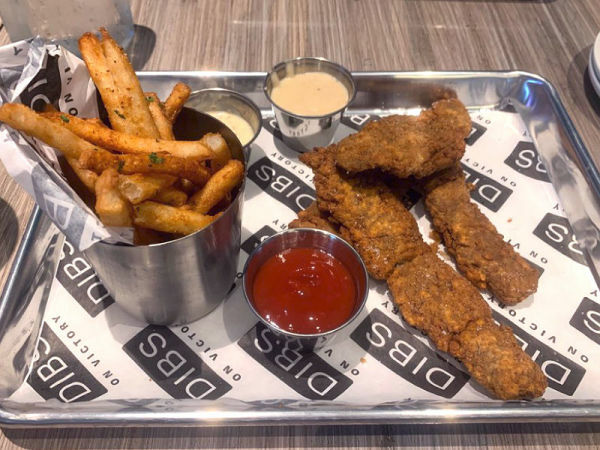 Signature items include bulgolgi kimchi fries, pretzel-crusted chicken tenders and a California Korean dog. There is a build-your-own burger and sandwich bar, with choices that include sirloin and brisket burger, buffalo burger, black bean veggie burger, fish, chicken, hot dog, grilled cheese, smoked bacon, and roasted pork carnitas. Channeling Chipotle, you choose from 14 cheeses and 13 sauces such as banana pepper and hot yellow mustard, tamarind ketchup, lemon dill and tarragon, and roasted tomato salsa. Toppers include ham, red chile and cabbage kimchi, pickled shiitake mushrooms, and Hatch green chile and dill pickle relish. Cocktails by Sean Conner incorporate Sonic's iconic soda fountain, with shakes, malts, draft cocktails, floats, and agua frescas featuring Sonic's famous crushed ice. Spork has 82 seats inside and almost double that on the patio, with another 150 seats. The patio won't open for another few weeks, but it has a 10-player foosball table, bocce ball court, putting green and ping pong tables. Coeval Studios and Lou-Verne's Marisa Dukowitz and Christy Black collaborated with Jeffers on the layout and design of the space, including the deck area, which is situated under the old Sonic burger stand carport. "We're wanting to offer a place where kids can horse around and adults can sit idly by enjoying a beer," Justice says in the release. "The name epitomizes what we're going for – it's a funny, utilitarian name that goes perfectly with the Jetson-like atmosphere." The restaurant is open for lunch and dinner daily, and until midnight on Fridays and Saturdays. 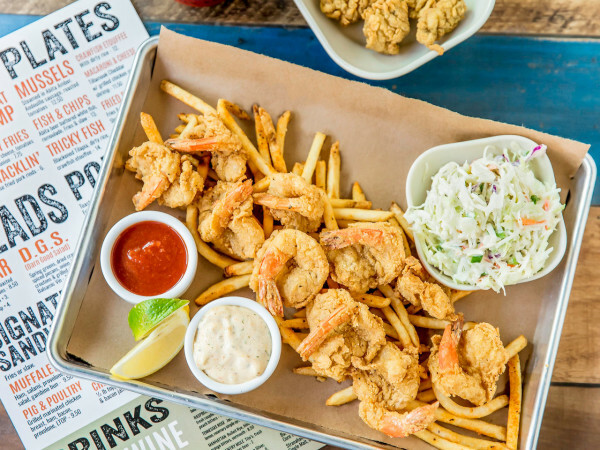 Turn the Tables Hospitality Group founded South Dallas-based restaurants Chicken Scratch and next-door bar The Foundry, Bar Belmont, and two locations of Smoke.